Of the many who indulge in recalling their reminiscences, there are two classes, those who inflict cold, bare stodgy dry facts upon a long-suffering public, and those who have the happy knack of carefully sifting out those incidents that make entreating copy – I have always believed I belong in the latter category. Over these next few weeks on our reborn site, I hope to draw upon a my long memory and post a selection of stories from the past, as told to me by my forebears. 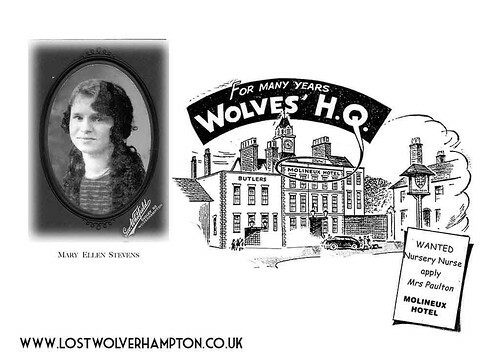 Hopefully giving impressions of everyday life in Wolverhampton, common to everyone around that time. 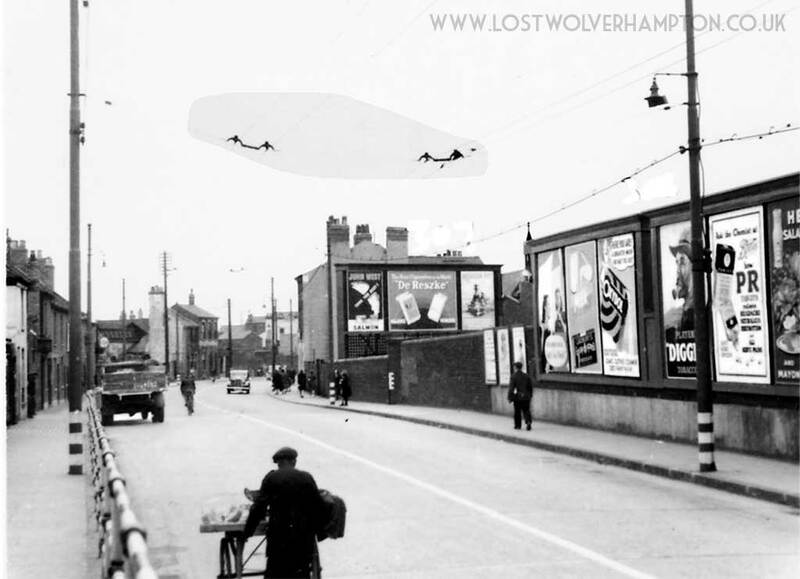 As a small child during the war, living in Nursery Street.close to the Molineux Grounds,off North Street I was always curious about the small suitcase perched on top of the wardrobe in our back bedroom. It was a small, battered brown coloured case which had the initials M.E.S. in white capital letters, stenciled on it. I was later to discover an interesting tale was contained in this suitcase. M.E.S. was the initials of Mary Ellen Stevens, one of ten children of railway drayman, John Henry Stevens and his wife Julia, who in 1926 moved from cramped accommodation in Park Street of Commercial Road to Colliery Road part of the the new Council Estate being built off Horseley Fields. The Paultons’ require a Nanny! 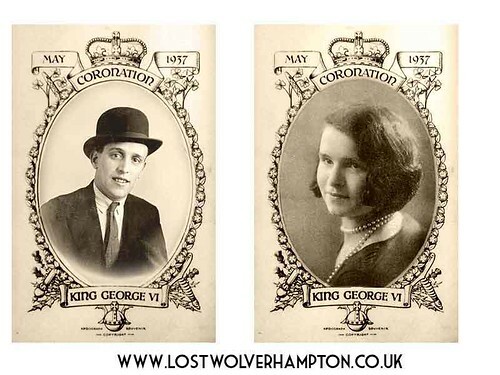 In July of that same year, Mary aged 16, carrying her few possessions in a little brown suitcase, left her new home in Colliery Road and went to live in at The Molineux Hotel North Street, Wolverhampton. and act as nannie, to the three children of Mr and Mrs Paulton. 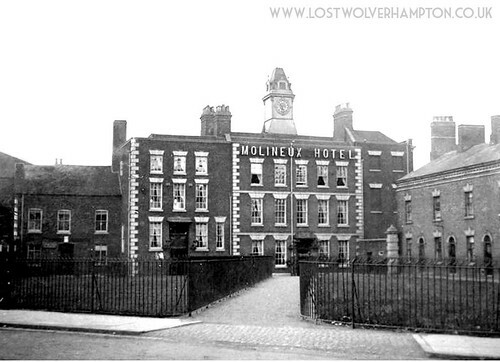 The tenants at this prestigious hotel at that time the headquarters of the Wolves Football Club..
Four years later though in 1930, the Paulton family left the Molineux to take on the tenancy of a large Hotel in Stafford. As Mary declined to go to Stafford with them, they found her similar employment with their next door neighbours in North Street Mr and Mrs Rogers, at the Fox Hotel, another popular licensed house at that time. 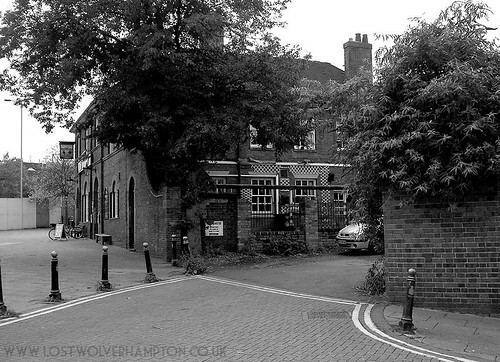 The Fox Hotel, (Lately known as The Wanderer, and now closed ) still stands at the Junction of what was then, Molineux Street, and North Street. It had a large bar and lounge, and upstairs a large dining room, were weddings and functions were held. There was also a large yard , with stabling built originally for the former local carriage – owners, which at that time was used by the traders from the nearby Markets and also as temporary accommodation for the many types of animals, appearing in shows at the nearby Hippodrome Theatre. Now Mary’s Saturday afternoon job was to make and serve snacks for the customers in bar, and being situated next door to Molineux grounds, the bar was very busy on match days; with regular customers and Wolves supporters alike. 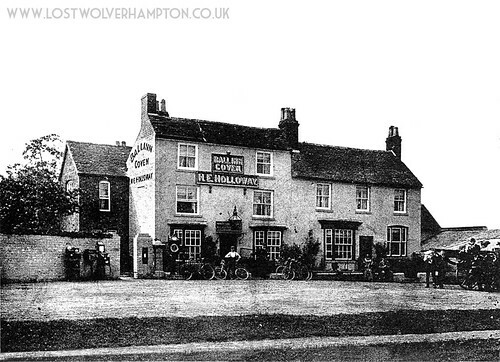 On a certain Saturday afternoon making his usual call at the Fox was local market trader Jack Howe, who lived close by in Nursery Street, and on this particular lunchtime, Mary, whilst carrying a tray of sandwiches to the saloon bar, stumbled and fell. Jack, who happened to be standing close by went down immediately to help, and whilst kneeling, facing her, he looked into those big brown eyes and is immediately smitten. Mary though had noticed this shy good looking man by the bar many times, but nice girls didn’t talk to strange men in public houses those days; but this stroke of fate brought them in contact, and that was that! Now for the very first time, they spoke and Jack was hooked. A little later, the Rogers family themselves left Wolverhampton left moving to the country to keep the Golden Ball at Coven. Mary went with them and Jack Howe, my future father, courted her from there until she left in 1936, when they got married. The wedding was held at the Howe Family’s local Catholic Church, Ss. Peter and Paul, Paternoster Row, North Street. After the reception held at the Fox, they moved into a vacant terraced house No.11 Nursery Street, across the road from Jack’s family home, and with them went all mom’s personal belongings contained in her little brown suitcase. Dedicated to Mom. Thanks for the memories.